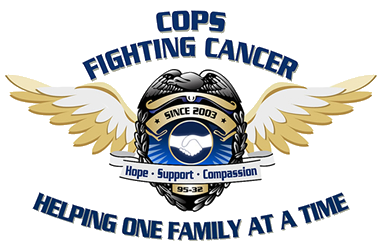 Cops Fighting Cancer is calling on all parents, friends, and family members to support raising awareness for Childhood Cancer. CFC is partnering with honorary Aurora Police Department, Police Officer Gabe, and his mom Kathleen to make the dream of a child come true. A simple question from a child that has gone through cancer treatments “MOM, why don’t kids have special plates with the GOLD ribbon so people know about us?” has now become a call to action. Our mission is to raise awareness in the State Of Colorado. We all know what the pink ribbon stands for, however, kids matter too! We want to see Colorado go GOLD, and by raising awareness we can help increase funding for research. What if this happened to your child or someone you know? Help us raise awareness for all children, or your niece, nephew, cousin, best friend’s child, neighbor, co-worker’s child, etc…. Please join our fight! You can help us make a difference and raise awareness in Colorado! Please follow the link below and sign the petition. We need 2,000 signatures to make this happen. Please forward this message to everyone you know and post on your social media pages. The more people that see our call to action and join us the closer we get to give the children in Colorado battling cancer a symbol of hope.